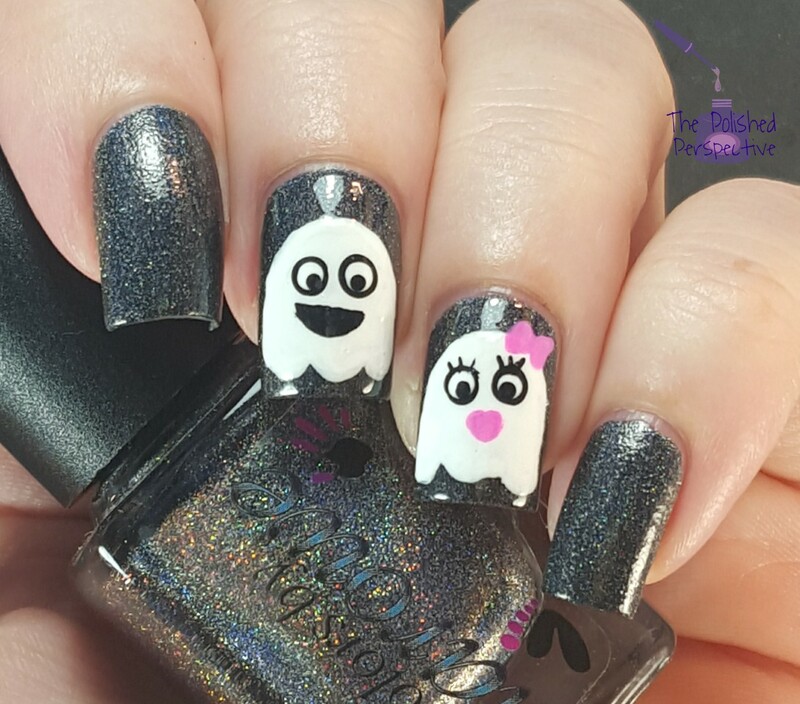 I ran across an Instagram Halloween nail art challenge with the hashtag #BootifulNails. It has so many awesome prompts and I did the prompt for day 2 (yup, they're doing all 31 days). The prompt for day 2 is "Ghosts" and I did a ghost couple that will be together forever. I'm on day two already? October needs to slow down! Colors by Llarowe Blackest Night (Limited Edition) no longer available. These are super cute! Great way to use those vynils!